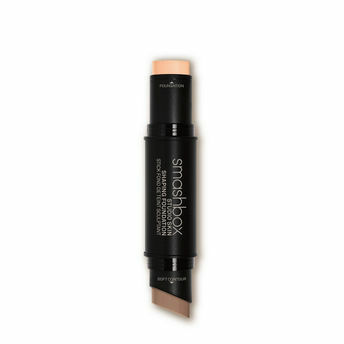 Smashbox's Studio Skin Face Shaping Foundation Stick is a double-ended face-shaping stick that has a full-sized foundation on one side and a complementary soft contour shade on the other. The foundation side gives you medium, buildable coverage with a natural finish. The soft contour side lets you to create dimension with a perfectly coordinated shade. It’s an all-in-1 stick that gives you coverage and sculpting on the quick! Smashbox Cosmetics are formulated without parabens, sodium lauryl sulfate, phthalates, oil, fragrance & alcohol. Explore the entire range of Foundation available on Nykaa. Shop more Smashbox products here.You can browse through the complete world of Smashbox Foundation .Alternatively, you can also find many more products from the Smashbox Studio Skin Shaping Foundation Stick range.